This is the time of year when we work on Image’s annual budget. Here in the excruciatingly lean nonprofit sector, there’s a sort of elegant efficiency to having very little to spend—but it also means that when we need to make cuts, we cut close to the bone. I’m a practical person, and so I sometimes think about the money we’d save if we stopped printing Image. That is, if we went to digital only, like Paste did in 2010 (though I recently learned they’re making a push to return to print). 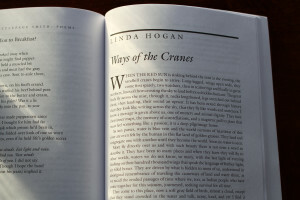 We’d still publish the same wonderful content—the poems and stories and essays and interviews. You’d be able to see all the same visual art. Actually you’d see more of it, because we wouldn’t be constrained by the expense of printing in color. All pixels cost the same. In print, if you want color, you have to produce four photosensitive plates instead of just one. The plates are huge sheets of thin, flexible metal that get attached to log-sized press rollers and doused with cyan, magenta, yellow, and black ink. All of this costs money. As it is, the money we make on subscriptions covers our printing bills and our fulfillment and postage—and that’s pretty much all. The author payments, the permission fees, the salaries for planning and editing and proofing, the office supplies, the health plan—all that comes from other sources. All our content is already made available online anyway, so it wouldn’t add work to go all-digital. The print advertising dollars are pretty modest, so even that wouldn’t be much of a loss, income-wise. Presumably at least some of the people who currently buy print subscriptions would be willing to buy digital ones, if they didn’t have a choice. I’m trying hard to sell myself on this, for the sake of the thought experiment, but I hate the whole idea. In the sixteen years I’ve worked in publishing, there’s been a pretty steady churn of disappearances: Grand Street, The Formalist, Oxford American (off and on), Mars Hill Review, Re:generation Quarterly, Christianity and the Arts, and most recently Books and Culture. 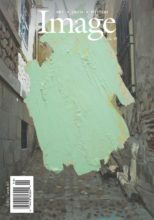 Literary magazines are expensive, and the conventional wisdom is that nobody has time to read print periodicals anymore. Digital Image is less good than print Image. Of course. But isn’t digital Image better than no Image at all? I try to picture a world where Image exists only online. Would we matter less? It would be a blow to our pride, sure, but would we really have less dignity, less meaning? The words of the poets and stories and essays would still all be there in the same order, and surely that’s the real heart of what we do, isn’t it? How much does it really matter how it’s conveyed? But public perception does matter. We’re only any good because writers want to publish with us. Would they keep sending us great work if we were no longer a print publication, or would we slide down their lists, a place to try only after being rejected elsewhere? My hunch is that it’s the latter. For writers, nothing is quite the same as seeing your work in print. When people write to tell me they got their contributors copies, they practically burble. Is it only relative fogeys like me who would mind the change? Will the balance shift with the decades so that this whole conversation comes to seem archaic, like worrying about the chilling impersonality of moveable type? Is it all the same to younger readers, the readers who will still be around when I’m gone? I think maybe it isn’t, at least not for now. Young and emerging writers seem no less thrilled to be in print now than they did ten years ago. For myself, I know that I am a terrible reader online. Reading on screen, I skim. I try not to, but it’s automatic. The main thing I like about reading in print is that it shuts out the world. For me, that’s the very heart of the experience of reading. It’s just two minds, mine and the writer’s. Digital reading doesn’t mimic this isolation. Even on a digital page that mimics the typographic beauty of a print page, Facebook and Words with Friends and emails and recipes and my calendar are just behind the screen I’m reading. The constraint of print is a welcome rest. I find it lets me slow down and enter the rhythm of someone else’s thought. To me, that experience is the very best thing Image has to offer. From an editor’s point of view, there’s something refreshing about constraint, although it can be painful. We have space for eight short stories a year, so we can’t publish everything we like. We have to be ruthless, and the reader benefits from that. Money forces you to say no a lot, and it’s the saying no that makes the journal good. Print is money. Can money be beautiful? When it’s used in a beautiful way, I think it can. This question of whether to stop the presses won’t go away, but I don’t think it’s a question we have to fear. The cultural landscape will change with the years. The way people read will change in ways I probably can’t imagine, and every year at Image we’ll look at our budget, think about this landscape, and make choices. For the present, I’m pretty sure the only way we’d go digital-only is over the dead body of the founder and editor—and, I suppose, over mine. I still think the experience of receiving an issue in the mail, an object constrained by time and space, and of reading it on a ten-by-seven-inch page without distraction, is necessary to the heart of what we are trying to do. Anything less would make us all poorer. 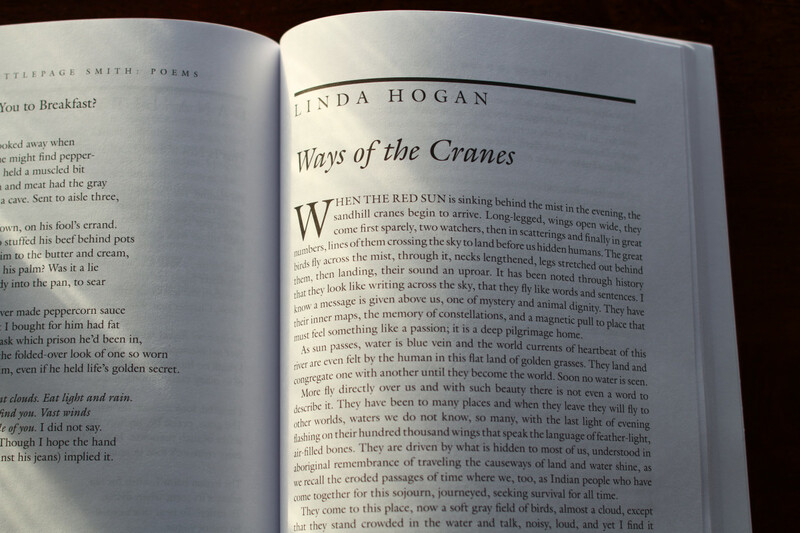 Your donations support the artists and writers we publish in our beautifully printed pages. 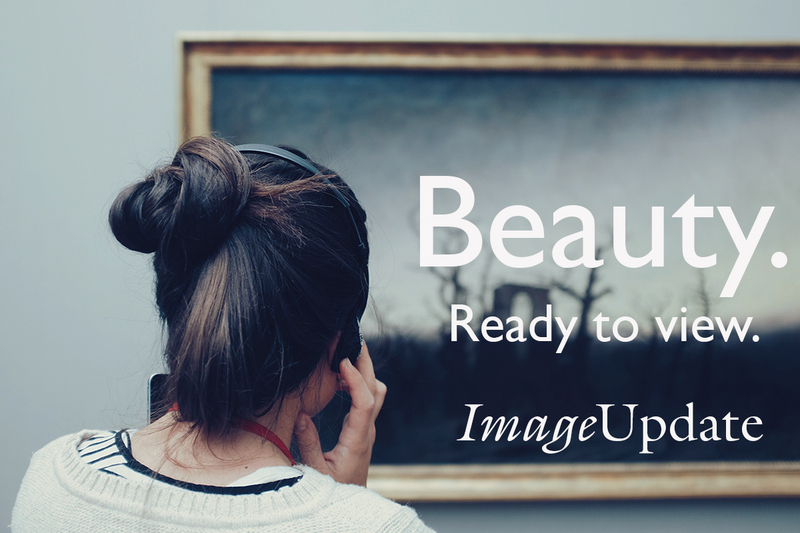 Click here to give a gift to Image today.